kundalini (ku̇n-də-ˈlē-nē) n. 1. The biological basis of all forms of spiritual experience, religion, genius, and higher consciousness. 2. The evolutionary energy residing in the human body. The Spiritual Experience Survey, released in December 2014, measures experiences such as energy sensations, unusual sensory perceptions, mystical experiences and spiritual practices as well as demographic characteristics. People from around the world have completed this survey, many reporting significant Kundalini experiences. 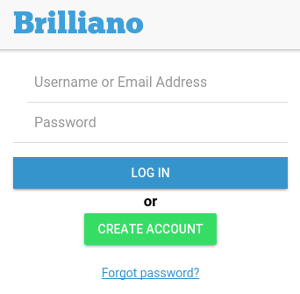 The survey is administered via a social network application called Brilliano which also provides provides feedback to survey participants along with a spiritual practices tracker. The Personal Background Survey, released in October 2017, measures personal information such as lifestyle, beliefs, environmental and hereditary factors that could have a positive impact on the Kundalini awakening process. Because of the data gathered by the Kundalini Experimental Project through the Brilliano app, The Emerging Sciences Foundation (ESF) is in a unique position to scientifically investigate Kundalini. Preliminary findings suggest Kundalini may be an inherent mechanism within human psychophysiology and its activation leads to profound changes in sensory perception and expansion of consciousness resulting in verifiable mystical experience. The implications for the development of human potential and the subsequent influence on global society are enormous. As part of its mission to raise awareness of Kundalini and to publicize its research, The Emerging Sciences Foundation also holds regular conferences and hosts interviews with experiencers and researchers in the field of Kundalini. The ESF has also contributed to the making of a number of documentaries on the Kundalini phenomenon. A free and easy way to receive customized spiritual recommendations. Help us unlock the secrets of spiritual evolution. Join a worldwide community of spiritual seekers and experiencers. Become part of a global experiment in the transformation of consciousness. Contribute important research data about the nature of spiritual experiences and further our scientific understanding of the spiritual awakening process. 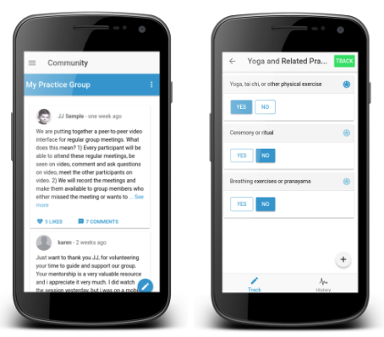 Receive free and personalized data-driven recommendations from Kundalini research. 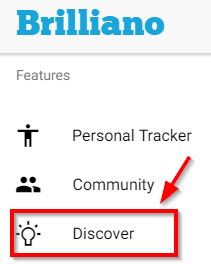 Receive personalized insights and recommendations, track activities, connect with the community, and measure your progress over time. Thousands of years ago, in various parts of the world, a major discovery was made – an intelligent mechanism in the body responsible for the process of spiritual awakening itself. In India, the name used for this discovery was “Kundalini.” On the physical level, Kundalini exists as a metabolic system whose purpose is to upgrade the brain and to elevate it to higher forms of consciousness. There is overwhelming evidence that ancient cultures knew about Kundalini and the methods to accelerate it, which can result in profound physical and psychological effects. Due to these effects, and since it is a natural process, Kundalini can be studied and measured just as any other area of science. Learn more about how the Kundalini Experimental Project works and how it will assist in your own process of personal growth. Kundalini isn’t just “Kundalini Yoga,” as most people know it by — it actually represents the biological basis of all spiritual experiences and, we believe, the force driving the evolution of humanity. The Kundalini Experimental Project is designed to provide you the information you need to be your own “guru.” Take your spiritual destiny into your own hands and participate today. Learn more about the difference between Kundalini Yoga and the science of Kundalini. We strongly recommend you visit the Institute for Consciousness Research’s Learning Center to learn the basics about Kundalini before getting started with the Kundalini Experimental Project. Our donor kits contain a collection of the absolute best resources on Kundalini found anywhere. Sign up on our mailing list to receive occasional updates and event announcements. The Emerging Sciences Foundation is a U.S. 501(c)3 non-profit. © 2019 The Emerging Sciences Foundation All Rights Reserved.